The Organic Gardening Information Blog lets you know whenever any new or updated Web pages appear on Organic Gardening Information. Don't miss our new finds, updates and personal stories from other organic gardeners. Become part of the Organic Gardening Information Blog! Tell your organic gardening story by clicking here! Your story becomes part of this site and this blog for others to read! I would love to hear about your best experiences, your most interesting tip on organic gardening, your top gardening vegetable tip... anything about organic gardening that you'd love to share. Enjoy... this is fun and your tip or story will help others! While the Organic Gardening Information Blog delivers the time tested information on Organic Gardening from OrganicGardenInfo.com, you can also search for your additional information or get your Organic Gardening news, updated daily from worldwide and local news resources, from Organic Gardening Information Search & News. Growing Radishes is perhaps the easiest and fastest growing vegetable there is. Using essential gardening tools is important to me, because I'm a TOTAL advocate of Grow Biointensive (the method) gardening and that's what I practice in my garden. 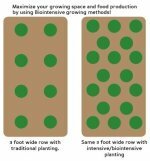 If you want to grow 4 to 6 times more food in the same space as chemical gardening or even conventional organic gardening, then Grow Biointensive is a method that is something you should learn and practice. Continue reading "Essential Gardening Tools"
Although growing Bunching Onions can be grown as annuals, you can leave a few plants in your organic garden to allow offshoots to develop for dividing the following year. Continue reading "Growing Bunching Onions"
There is never a bad time to think through our habits and why we have them. Now is as good a time as any to consider going organic. Continue reading "Why organic gardening is a smart, healthy choice"
Sometimes, carrots curl around each other because you didn't thin the crop sufficiently. But splitting, gnarled carrots that aren't closely intertwined are generally a sign that your soil is either compacted or is full of pebbles and rocks. Continue reading "Measure Garden-Soil Compaction With a Carrot Test"
Continue reading "MOTHER EARTH NEWS GUIDE TO ORGANIC GARDENING, 5TH EDITION"
Fertilizing garden beds is the important process of adding compost and organic fertilizers. Continue reading "Fertilizing Garden Beds"
An important topic of interest to home gardeners is organic gardening. Many people have a desire to ‘get back to nature’. However, there exist many misconceptions on organic gardening. Continue reading "Organic gardening: facts and fiction"
Continue reading "Growing Arugula and Turnips for the Table"
Continue reading "Beautiful Vegetable Portraits"
Continue reading "Homestead Uses for Mylar Blankets"
Common beans vary greatly in their color, shape, size, and pattern. Continue reading "Saving Common Bean Seeds"
Continue reading "Saving Seeds from Sweet Corn"
Continue reading "Saving Carrot Seeds"
Soil microorganisms help keep your soil healthy, decompose organic matter, replenish soil nutrients, forms humus, promote root growth, increase nutrient uptake. This Organic Gardening eStore eliminates the daunting experience searching for organic gardening items, such as compost products or gardening tools or vegetable seeds. Continue reading "Organic Gardening eStore"
Whether you are a lifelong gardener or just starting out, planting a herb garden is an easy way to get the most out of your space and plants. A herb garden can be any size, from a couple of potted plants on your kitchen window to an acre of rambling bushes. Continue reading "Planting an Herb Garden"
Continue reading "Severe hunger ravages South Sudan"
Extralong germinating seeds are planted on or within 7 days of the New Moon. Continue reading "Extralong Germinating Seeds"
Long germinating seeds are planted on or within 7 days of the Full Moon. Continue reading "Long Germinating Seeds"
Short Germinating Seeds are planted on or within 7 days of the New Moon. Continue reading "Short Germinating Seeds"
Transplanting by the moon is a great way to ensure the success of your new plants. Continue reading "Transplanting by the Moon"
Continue reading "Eat Healthy and Be Fit"
Selection of insect control tactic is important in the organic pest management approach. Continue reading "Selection of Insect Control Tactic - Step 4 "
Organic pest control is observing and giving attention to your total garden system to reduce pest damage. Continue reading "Organic Pest Control"
It’s the beginning of your growing season and now you can begin using compost you created last year. In General, compost maintenance depends on the type of compost method you are implementing. Keep a laid-back approach to making compost, because it involves no turning, no special decomposition additives, and low labor input. Selecting your compost location for proper composting is important. Above all, choose a compost location that is easy to get to and convenient. Continue reading "Selecting your Compost Location"
Increasing organic matter may be the most important part of your organic gardening, because organic matter produces humus. Continue reading "Increasing Organic Matter"
There are seven main compost requirements needed for really great compost decomposition - compost size, air, moisture, fragment size, green matter, dry matter, and heat. 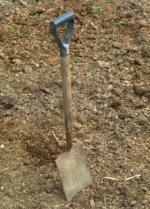 Organic soil testing takes the guesswork out of organic gardening, and it saves money, time and effort. Continue reading "Organic Soil Testing"
Understanding the vegetable nutrient relationship between your vegetables and your soil is an important aspect of organic gardening crop rotation. Continue reading "Vegetable Nutrient Relationship - Crop Rotation"
What’s amazing about compost is that it’s simple to create, maintain, and use, yet these compost benefits just scratch the surface. Continue reading "Organic Gardening Compost Benefits"
Organic soil fertility in your organic garden is based on the principle "feed the soil not the plant." Continue reading "Organic Garden Soil Fertility"
Soil Amendments are materials that are added to the soil to improve soil health and plant growth. Continue reading "Understanding Soil Amendments"
Watering garden beds and flats must emulate rainfall as much as possible. Continue reading "Watering Garden Beds"
Planting garden beds using the Biointensive method maximizes space, while creating a living-mulch, which restricts weed growth, retains soil moisture, and creates a microclimate under the leaves. Continue reading " Planting Garden Beds"
Preparing Garden Beds is straight forward, and once you get the basics down they're very easy to maintain. Continue reading "Preparing Garden Beds"
Vegetable garden beds are more productive, because they conserve space, water, and fertilizers inputs. Continue reading "Vegetable Garden Beds"
It’s important for long-term soil health and management to know what the soil fertility is in your soil. Continue reading "Promote Soil Health"
Continue reading "Your Soil Health"
Vegetable gardening tools are bulk-produced for sale and easily attained at your local home improvement and garden center. 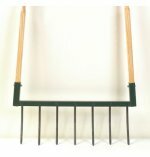 Continue reading "Vegetable Gardening Tools"
Essential gardening tools are a part of successful organic gardening. Continue reading "Organic Gardening Vegetable Index"
Organic gardening compost is food for your soil - supplying and replenishing all the important nutrients that your soil needs for healthy crop growth and increase insect pest resistance. Continue reading "Organic Gardening Compost"
You will find open pollinated and heirloom varieties in my Organic Vegetable Seeds Store. I would avoid hybrid varieties completely. Continue reading "Organic Vegetable Seeds"